The movement for ongoing ‘quota reform’ has become a "ploy of BNP-Jamaat" who wants to destabilize the current stability and progress in the country, says the government on Thursday. "These attacks are similar to the violence that took place in 2014 committed by BNP-Jamaat, which was rejected by EU Parliament through adopting two resolutions," Foreign Minister AH Mahmood Ali told diplomats in a briefing at State Guesthouse Padma. In course of discussion, the Foreign Minister also expressed his disappointment at the statements issued by some members of the diplomatic corps in this regard. 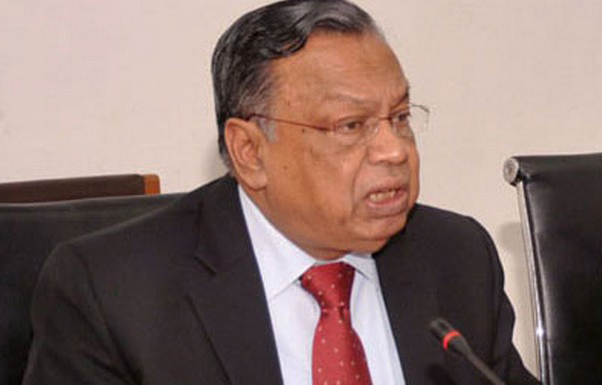 Foreign Minister Ali said even after assurances from Prime Minister Sheikh Hasina, a vested quarter hijacked the demonstrations and created anarchy in the campus. The movement for ongoing ‘Quota Reform’ has been marred by violence and acts of terror, he said adding that the anarchists attacked the house and family of the Vice Chancellor of Dhaka University. The Foreign Minister also briefed the session about the human rights situation in Bangladesh. He reiterated that the government of Prime Minister Sheikh Hasina is committed to protect and promote human rights in Bangladesh. Minister Ali informed that during the third cycle of Universal Periodic Review of human rights situation in Bangladesh, held in the Human Rights Council in Geneva, 105 countries joined in praising Bangladesh for various achievements and for its actions towards promotion and protection of human rights. He said the government has been making remarkable progress in socio-economic field. The UN Secretary General has recently visited Bangladesh and said that Bangladesh is an “economic miracle”. Minister Ali said Bangladesh was currently facing formidable challenge of hosting 1.1 million forcibly displaced Myanmar Nationals. "We are trying to ensure their safe and sustainable return to Myanmar. We strived to create a democratic, multi-cultural, multi-ethnic, multi-religious, peaceful and prosperous country," he added. At the outset, the Minister mentioned that Bangabandhu Sheikh Mujibur Rahman spent most of his life in prison for the freedom of people of Bangladesh. Like her father, Bangabandhu’s daughter, Prime Minister Sheikh Hasina also joined politics in her student life. In 1975, the Father of the Nation, Bangabandhu and all his family members were assassinated. The Prime Minister and her sister were saved as they were living in Germany at that time. After the killing of Bangabandhu and his family members, she remained in exile for 6 years. When she came back, she started politics to ensure right to food and right to vote for the people of Bangladesh. While briefing the diplomatic corps, he said that the quota system was introduced in 1972 as an affirmative action to promote inclusive representation of people of various social, economic and cultural background in government jobs. He added that quota for women, persons with disabilities, ethnic and religious minorities and descendants of freedom fighters were introduced to promote opportunities for marginalized groups of the society. Nonetheless, he said, majority of personnel recruited through BCS examination system are appointed from merit list. In 33rd BCS held in 2012, personnel recruited through merit was 77.4 percent; in 35th BCS held in 2015, it was 63.69 percent and in 36th BCS held in 2016, it was 70.38 percent.